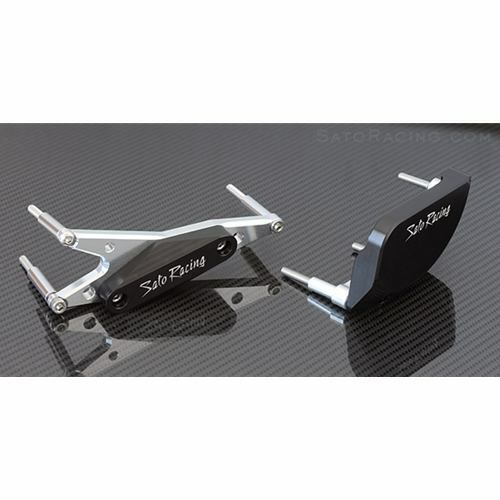 This kit includes a pair of Sato Racing engine sliders for the 2012-2016 Honda CBR 1000RR, one each for the left and right side of the motor. Installs over standard engine covers only, will not fit over heavy duty billet or cast covers, or over most secondary covers. May fit over Sato Racing carbon fiber engine covers, please call to verify before ordering. CNC machined billet aluminum brackets are silver anodized. CNC machined delrin offers great protection and slides easily in the event of a crash. Stainless steel hardware provided.